In this section, some examples of "underbite" are presented. 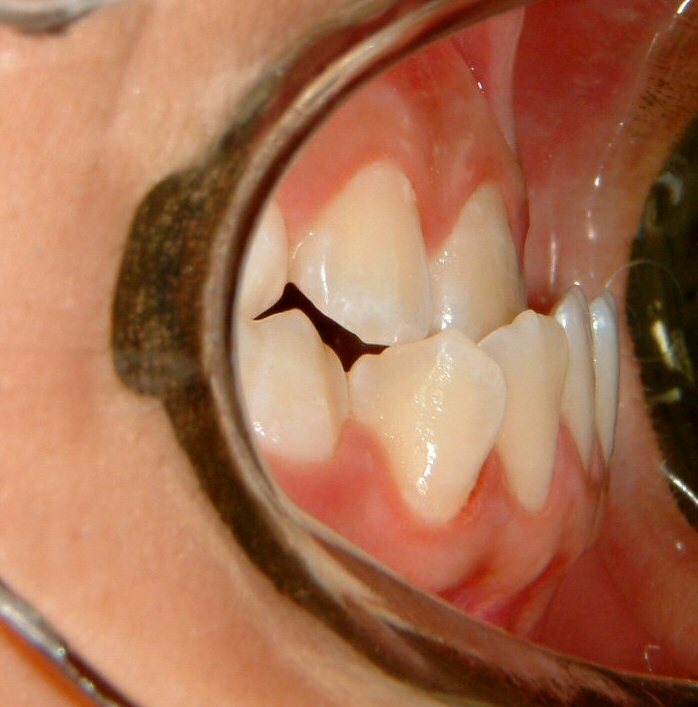 Laypersons often use the word underbite to describe this condition, but the correct terminology is negative overjet or anterior cross-bite. Dentists diagnose this condition as either Class III malocclusion (or dental Class III, based on the relationship between the upper and lower 1st molars) or skeletal Class III (based on the relationship between the alveolar bones associated with the upper and lower anterior teeth) or both. The problem could be either dental or skeletal or both. For moderate or severe Class III malocclusion (dental only), extraction of premolars is usually needed. Some people use the term bicuspid for premolars, but it is incorrect because the term "bicuspid" signifies "two cusps." The upper premolars have two cusps (one on buccal and one on lingual; the two are nearly of the same size). But the lower premolars may have three cusps (one on buccal and 2 on lingual). For moderate or severe skeletal Class III, orthognathic surgery is often indicated as an option, but this treatment option is only appropriate for adults or young adults whose skeletal growth is essentially stopped. © Copyright 2007, Vu Orthodontics. All rights reserved. This case is skeletal Class III (moderate, with Class III malocclusion, with molars not shown); treated without orthognathic surgery and without extraction. Patient wanted no orthognathic surgery. Fig. 11 View shows negative ovejet (initial): (a) Patient had braces elsewhere with treatment plan of orthognathic surgery, but he wanted no surgery; (b) After existing braces are removed.